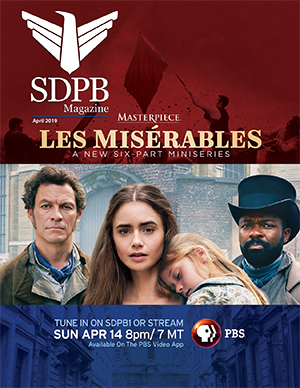 The South Dakota area is home to many fine authors and SDPB Radio focuses on area writers in the Dakota Midday Book Club. The club features authors on during Dakota Midday Book Club on the fifth Friday of the month and presents special interviews at other times for members of the club. You can read the book ahead of time to prepare or even join the book club and get a copy. The book club is open to Friends of SDPB supporters who dontate $300 annually, or $25 per month. When you choose the book club as your thank you gift, you receive four books over the course of a year. You can even become an Evergreen Member, with automatic monthly donations, and your membership in the club will be automatically renewed. Go to SDPB.org/BookClub or call 800-333-0789 to join. The books generally focus on our region. About six weeks to two months after you receive a book, Dakota Midday Host Karl Gehrke features the author on air, and listeners even have the option of calling in during the program with questions and comments. The book club started late last year and the first featured author, Darcy Lipp-Acord, writer of “Circling Back Home: A Plainswoman’s Journey,” was interviewed in February. You can access the interview at SDPB.org/BookClub. Other regional authors coming up this year include Kathleen Norris, author of “Dakota”; and Kent Meyers. The next fifth Friday edition of Dakota Midday Book Club will be May 30 at Noon (11 MT).